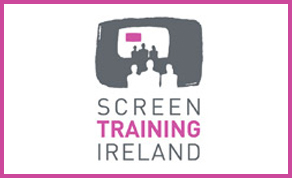 Screen Training Ireland will host a special one day course focused on the legal aspects of project development with tutors Gabrielle Kelly, Bill Grantham and Sharon Bowers. The course takes place in Dublin on Wednesday, November 21st and cost is €100. How do you turn an idea, the germ of a story, into a short, feature, game or whatever platform works best for the story? Content is king, but if you fail to take proper steps to protect and secure your IP (Intellectual Property) a potentially award-winning and successful idea can fail to see the light of day, be released, or generate money for you. *Disclaimer – the content of this course is for informational purposes only and in no way should this course be considered as constituting legal advice. This 1 day course is aimed at writers, directors, and producers along with development and production executives. It is accessible for the beginner and intermediate filmmaker. Bring your ideas and projects and we will work on aspects of them during the course with our guest experts. Please apply online at www.screentrainingireland.ie with a current CV by 12pm noon on the 12th of November.